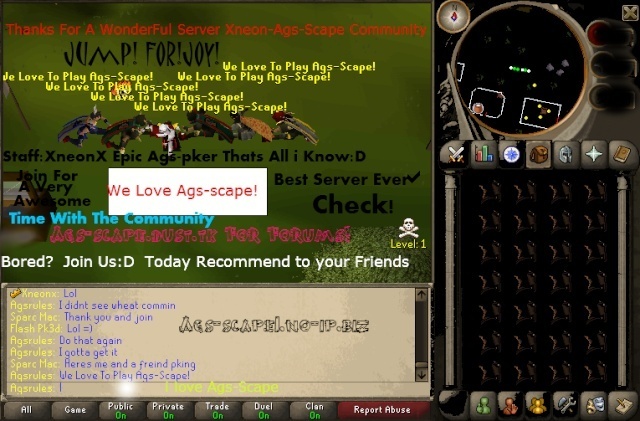 Forum for the moparscape server: Ags-Scape!! Location : In my computer. Tell me which ones you guys like best, and I might put it up on the top of the screen.